Pouch Length: 10"-12", 2, 2"-4", 6"-8", 8"-10"
Materials packing width: Max 12"
Ideal for tea sacks, chemicals, spices etc. 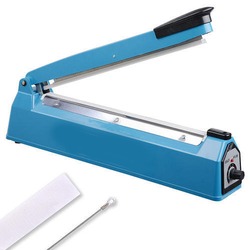 Banking on our advanced techniques and modern methods, we offer dimensionally accurate array of Pedal Sealer. Our entire product range is functionally advanced in nature and is offered in standard configurations. They are strong and sturdy in construction and are used in varied industrial and commercials actors. 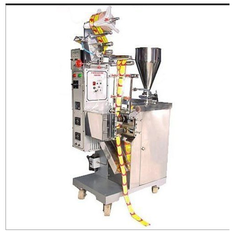 The machine is capable of packing different kinds of liquids, pastes, granules, powders categorized as shampoo, ketchup, oil, tube, petroleum jelly, cream, spices, pan masala, tea coffee and other related products. We are one of the reputed company engaged in providing a quality range of Horizontal F.F.S. Machine With Load Cell Weigher to our Client.